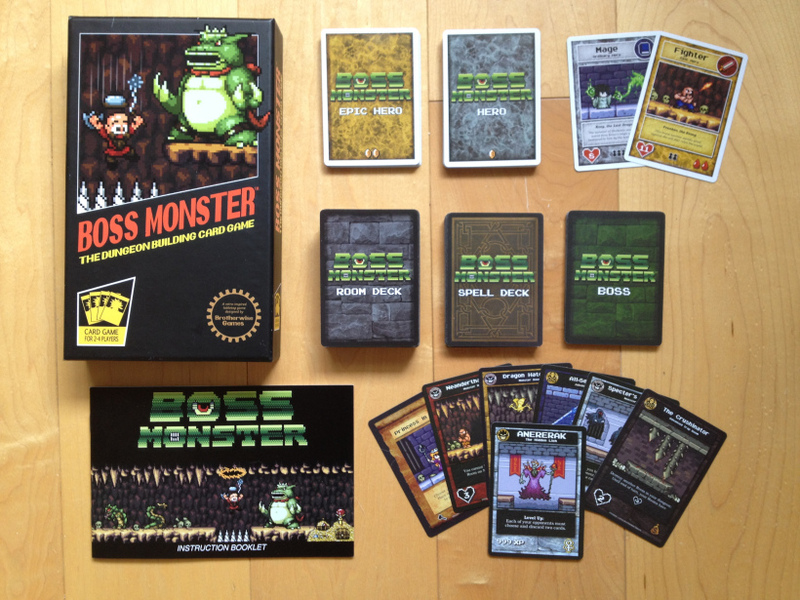 Boss Monster's setup is decided by how fast you can shuffle four decks of cards. The game is entirely played with the cards included, doesn't require any kind of game board, and can be finished in under 30 minutes. In Boss Monster, you and your friends play as the final boss of a video game dungeon, with the goal of either ensnaring the most would-be "heroes", or killing off your opposing bosses.